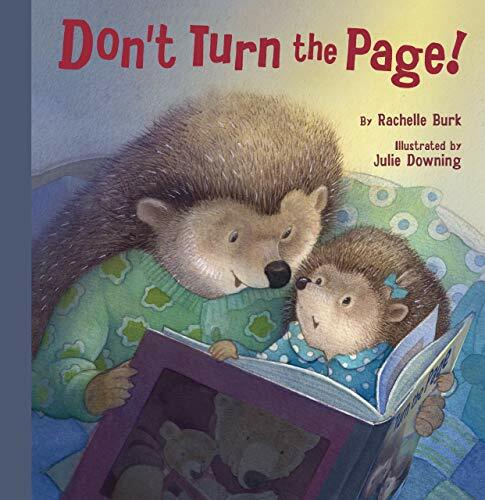 This book is about a hedgehog at her bedtime. She doesn’t want to go to bed, but she does want to pick out a bedtime story. She doesn’t want to read the story, because that would mean it is time for bed. But the book looks so interesting that she’ll let her mom read one page. And maybe she could read another one after that. Perhaps just one more page after that. And maybe just one more… If the story has seemed intriguing so far, you may want to find out the ending. I am NOT going to tell you the ending, so you will have to get the book to find out what happens. My little sisters loved this book! This book is very fun book for young kids. It holds their interest and it gets their imagination going at the same time. It grasps their attention while it teaches them basic preparation for bedtime such as brushing their teeth, putting on pajamas, etc. I recommend this book for parents who have children who don’t like bedtime, as well as preschool teachers who like getting a variety of books for their class. The age group that will be most interested in this book is 2-6.